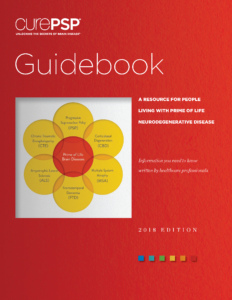 The CurePSP Carepartner Guidebook is brochure covering all things carepartners should know about dealing with and living with a prime of life brain disease. 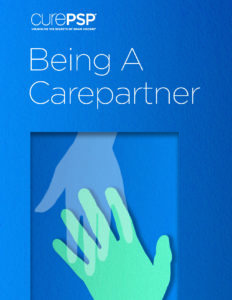 Chapters include: Making Meaning to Stay Positive, Caregiver Stress and Burnout, Keeping Families Strong, The Seven Deadly Emotions of Caregiving, among others. To have a print copy sent to you contact Joanna Teters, Community Outreach and Resources Manager, at 347-294-2873 or info@curepsp.org. This brochure is made possible with thanks to our caring supporters. 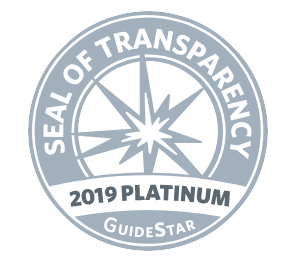 We are proud to bring you the 2018 CurePSP Guidebook. This signature publication features 150 pages of the latest information on PSP, CBD, and MSA and is the perfect reference for patients, family, care partners, and health professionals. The Guidebook is available for a suggested donation of $20 at this page. Alternatively, call Alisa Hansen, at 443-578-5670 or email donations@curepsp.org. National Institute of Aging: Caregiving. Learn how you can be an effective caregiver and how to take care of yourself. Please note: CurePSP does not endorse or validate any information posted on these websites. We encourage consumers to proceed with care and vigilance. National Institute of Aging: Planning for Long-Term Care. You can never know for sure if you will need long-term care. Maybe you will never need it. But an unexpected accident, illness, or injury can change your needs, sometimes suddenly. The best time to think about long-term care is before you need it. Planning for the possibility of long-term care gives you time to learn about services in your community and what they cost. It also allows you to make important decisions while you are still able. Next Step in Care provides easy-to-use guides to help family caregivers and health care providers work closely together to plan and implement safe and smooth transitions for chronically or seriously ill patients. The information on this page is for reference and educational purposes. There is no substitute for seeing your doctor. The Eldercare Locator is a public service of the U.S. Administration on Aging. This searchable website is a first step for finding local agencies in every U.S. community that can help older persons and their families access home and community-based services like transportation, meals, home care, and caregiver support services. To speak to an Eldercare Locator information specialist call toll-free 1-800-677-1116 weekdays, 9:00 a.m. to 8:00 p.m. (ET). Spanish-speaking Information Specialists are on duty. Care.com’s Senior Care Directory is free to anyone and everyone, and provides a comprehensive listing of resources by state in seven categories: housing resources, transportation resources, home care, end-of-life care, legal resources, financial planning and management, and health care. Share The Care is a non-profit organization that provides information on how to organize a care group for someone who is seriously ill. In addition, their site provides links to other sites caregivers might find useful. Well Spouse Association (WSA) is A 501(c)(3) non-profit, self-help, and volunteer-based organization whose mission is to provide peer emotional support and information to the husbands, wives, and partners of the chronically ill and/or disabled. WSA is the only national organization which focuses exclusively on spousal caregivers. WSA offers local area support groups, mentors, respite weekends, an online forum, and more. CurePSP has accumulated a collection of books over the years, written from varying points of view: people with PSP, people caring for spouses with PSP, even a book written for toddlers to understand the effects of PSP on their family member. Please follow the link below to see the list of books. If you think we are missing some titles, please email info@curepsp.org. CurePSP encourages and organizes activities that foster face-to-face communication, exchange of ideas and information, and interaction for comfort and mutual benefit to group members. The groups are for caregivers, carepartners, family members, friends, and people with PSP, CBD, MSA, or a related disease. There are three ways to connect.